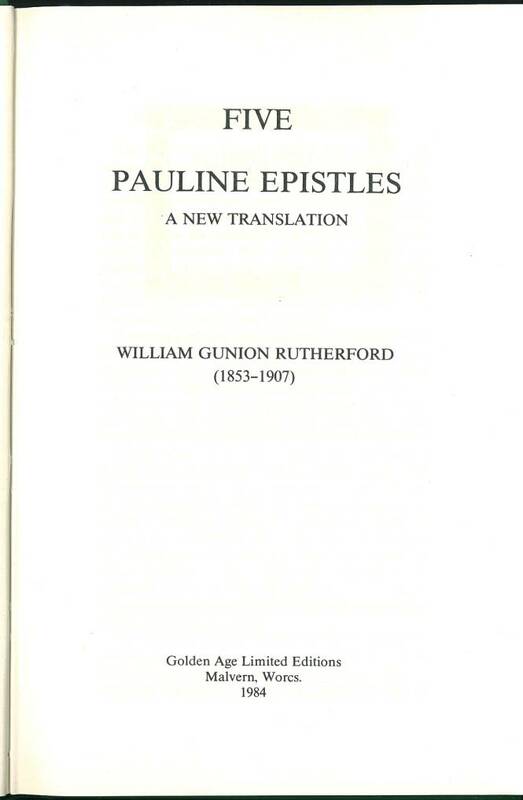 Click here for sample verses fromthe translation by William G. Rutherford. Title: St. Paul's Epistle to the Romans. 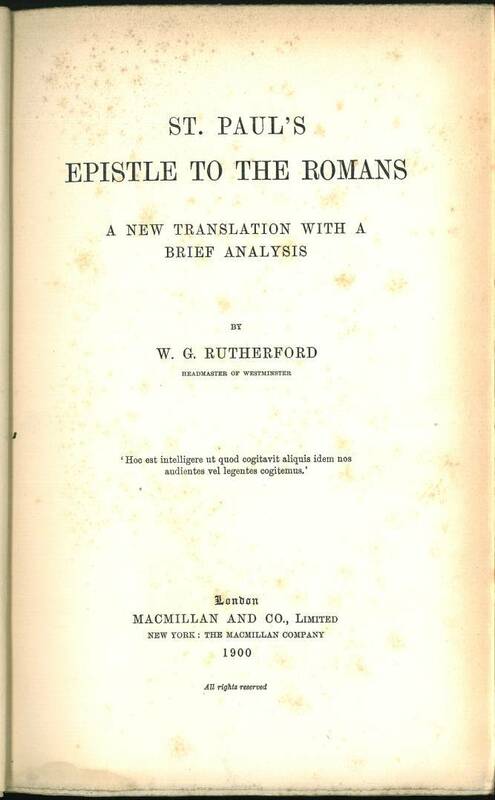 A New Translation with a brief analysis by W. G Rutherford. Facsimile: A pdf facsimile is available at books.google.com. 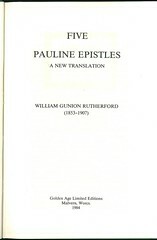 A pdf facsimile of the 1914 edition is available at archive.org. 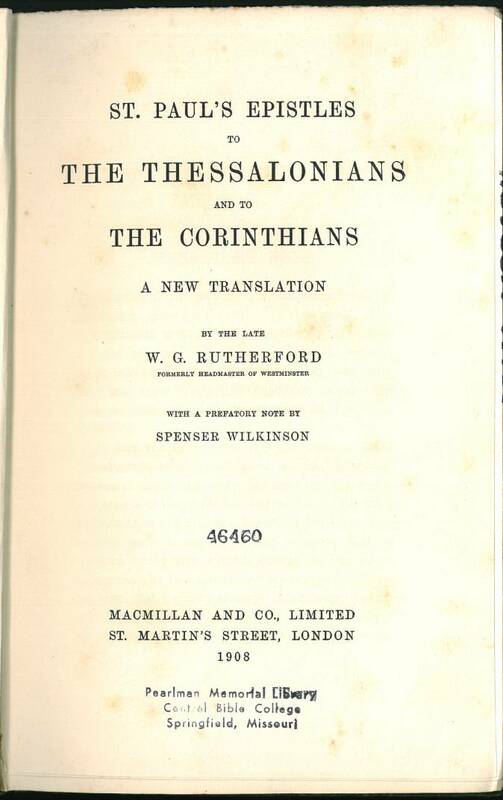 Title: St. Paul's Epistles to The Thessalonians and to The Corinthians - A New Translation by the late W.G. Rutherford with a prefatory note by Spencer Wilkinson. Comments: This a reprint of Herbert 2102 and 2155 bound together as a single volume. 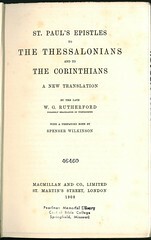 The edition was limited to 300 copies.